Ask any fan who saw 2016's Rogue One: A Star Wars Story about their favorite part, and you'll likely hear the same answer — that jaw-dropping finale where Darth Vader himself returned to the silver screen for the first time in 11 years to decimate a band of outclassed Rebel soldiers in pursuit of the Death Star plans. It was Vader in his prime; in full command of the Force and his lightsaber, he overwhelmed his foes with something like style. Darth Vader and his "predecessor," Anakin Skywalker, loom large over the Star Wars saga, as well they should. This has fans speculating about how the legendary villain might return in Star Wars: Episode IX, the J.J. Abrams-helmed installment due in December 2019. It would be a tall order to weave Vader back into the story — and if the extended cameo in Rogue One felt like fan service, a pointless guest spot in the anticipated final film of the Skywalker saga would just feel even more so. That said, the dark side of the Force is a pathway to many abilities some consider to be… unnatural. So if Vader is going to pop up in Episode IX, how exactly might that happen? Here, in no particular order, are a few ideas. George Lucas inserted Anakin Skywalker as a Force ghost into the final moments of Return of the Jedi. Although it's always been assumed that only a Jedi could access this unique power, Anakin's last-minute switch to the "good guys" must have given him just enough positive mojo to earn a spot beside Obi-Wan and Yoda. Replacing the original actor, Sebastian Shaw, with a digitally inserted Hayden Christensen in the special edition still feels like a gratuitous revision to the classic film, but it does crack the door open for what might be the most likely way for Vader to return in Episode IX — as a Force ghost in the form of Anakin, played by Christensen. Whether offering counsel to Rey as a Jedi or Kylo Ren as the new Supreme Leader of the First Order, Anakin could yet impact his family's story one last time. 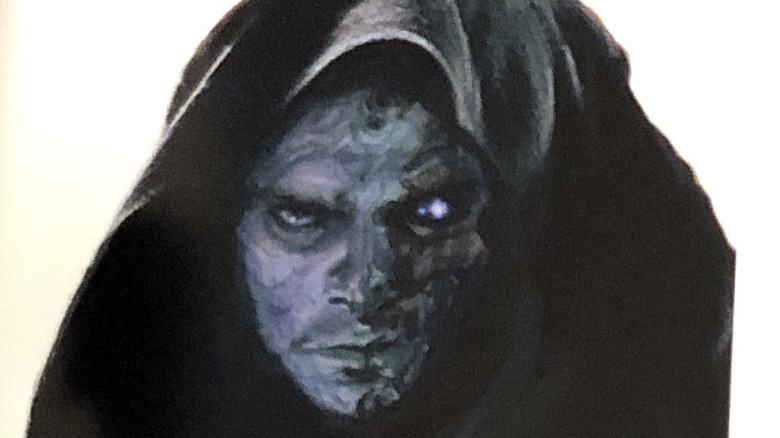 In the book The Art of The Force Awakens, concept art from Episode VII by Ian McCaig illustrated Christensen as Anakin appearing as a Force ghost, his face alternating between a human visage and the mask of Vader. This was after Abrams was on the project as director, so it's possible he could return to the concept in his Episode IX. Writer Charles Soule and artist Giuseppe Camuncoli ignited a fevered round of conversation about the return of Vader in Episode IX with "Fortress Vader," a storyline in the Darth Vader comics series. 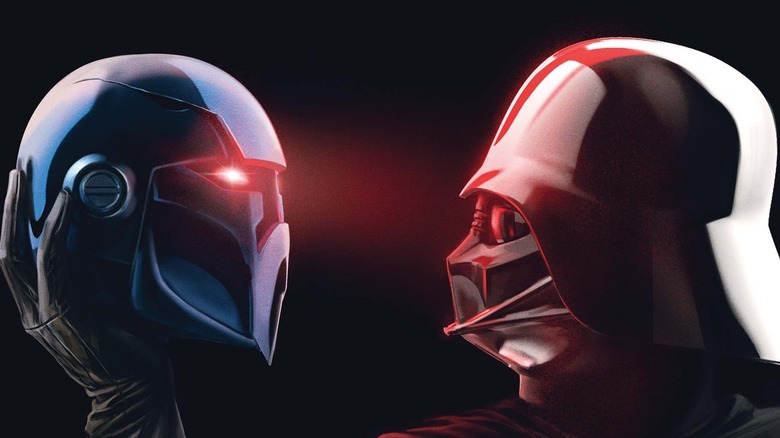 In the story, Vader returns to Mustafar, where he was defeated by Obi-Wan Kenobi resulting in his transformation into his mechanical incarnation, to explore a potent vein of dark force power. The helmet of a mysterious old Sith named Momin is with him. As it turns out, Momin's spirit remains attached to the helmet and is able to possess the bodies of others, ultimately using this dark side reservoir to bring his own body back and fully resurrect. Is it possible Vader's own evil spirit could have been attached to his helmet, which we know is in the possession of his grandson, Kylo Ren? 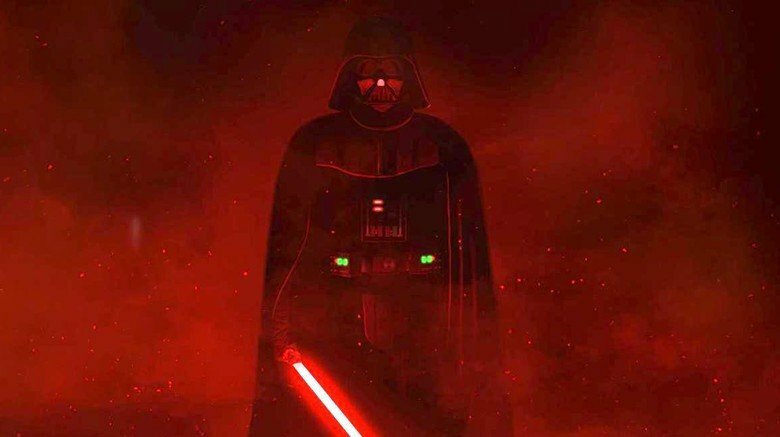 As writer Andrew Dyce suggests at ScreenRant, even though Anakin's spirit was redeemed by his sacrifice for his son, it's perfectly possible that the spirit of his dark side incarnation, the spirit of Vader, remains attached to the mask. In that case, Vader himself could bring about his own resurrection, by influencing Kylo Ren to pursue the same dark side alchemy that Momin used to return. "It's not a story the Jedi would tell you…"
As revealed by Darth Sidious/Palpatine to Anakin in Revenge of the Sith, Darth Plagueis was a Sith Lord obsessed with eternal life who mastered the ability to create life through manipulation of midichlorians. Plagueis was once Sidious' Sith master, and as soon as Sidious mastered his own grasp of this arcane art, he murmured Plagueis in his sleep and took Darth Maul as his own Sith apprentice. Furthermore, a single panel in the "Fortress Vader" storyline from the Darth Vader comics series connects this Sith legend to one of the biggest questions in Star Wars lore — the parentage of Anakin Skywalker. We know Anakin's mother was Shmi, a fellow slave to Watto on Tattooine. But his father has always remained a mystery. In Vader's journey through Mustafar's mysterious dark side portal, he has a vision of his mother as Palpatine lurks just over her shoulder, manipulating strange energies in her womb. 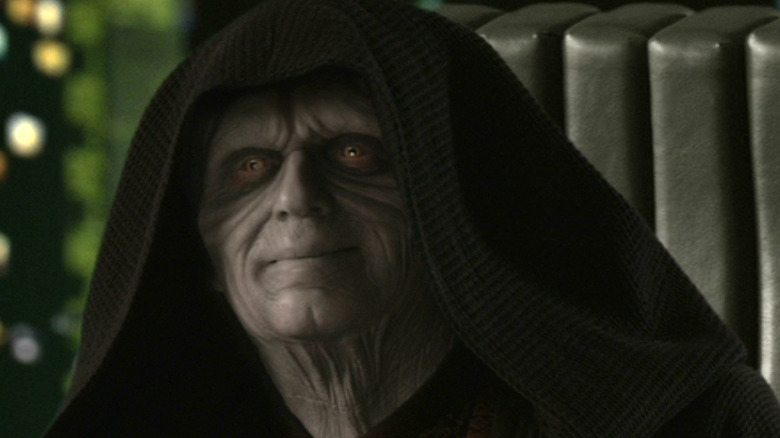 It's the closest Star Wars has come to implying that the "father" of Anakin Skywalker is in fact Emperor Palpatine, using strange Sith powers learned from Darth Plagueis to create life from midichlorians. It's possible this knowledge didn't die with Palpatine, and that he passed it on somehow, either to his apprentice or through capturing it in a holocron or other vessel. Maybe Kylo Ren has discovered it and is working toward mastering it so he can resurrect his grandfather. These Sith have lots of tricks up their black-robed sleeves. Watch the Star Wars saga films enough, and you might start to notice that the movies "rhyme," with plot beats that echo across all three trilogies. For example, there's a climactic moment in each of the first films where a trusted mentor figure dies unexpectedly (Qui-Gon Jinn, Obi-Wan Kenobi, Han Solo). In Revenge of the Sith and Return of the Jedi, the first sequence of the film features an unexpected reveal — Palpatine reveals himself to be evil to Anakin in Sith, while Leia reveals herself beneath her bounty hunter mask in Jedi. This may be a stretch, but hey — all of these are probably a stretch. 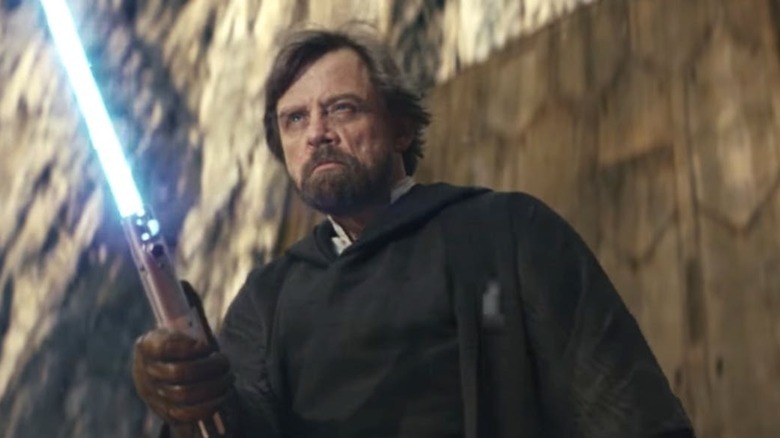 What if Episode IX opened with a sequence where a ghostly Vader is providing counsel to Kylo Ren, guiding him toward a decisive loss at the hands of the remaining Resistance… only for Ren to learn the ghost is actually the Force ghost of Luke Skywalker, tricking the First Order to help his friends? It would quickly explain why Luke bothered to say "See you around, kid" to Kylo Ren at the end of The Last Jedi. 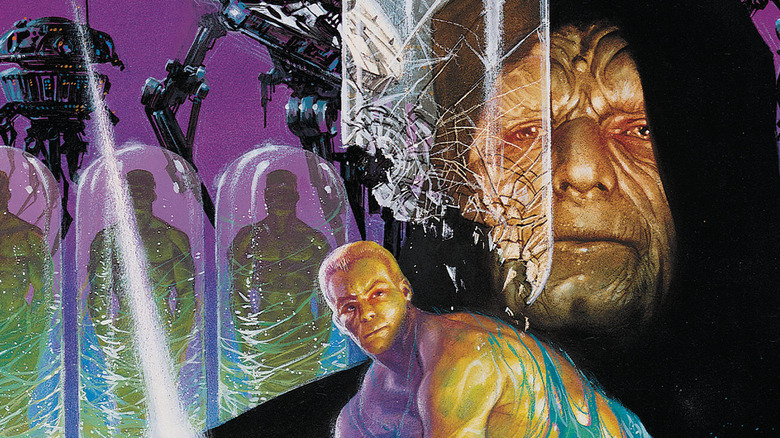 2014 saw the end of the original Star Wars expanded universe, now known as Star Wars "Legends." Since then, creators in the new canon have been cherry-picking some of their favorite elements from the old canon and restoring them to continuity. Could Episode IX feature a cloned Darth "Vaader" created from the tissue of the dead Sith Lord? If Kylo Ren retrieved Vader's helmet from Endor, it's possible he retrieved more of his corpse as well, in preparation for a true resurrection down the line. While Timothy Zahn's use of cloning in the Heir to the Empire trilogy of books was a pretty straightforward process, like copying a CD, the cloning in the Dark Empire comics relied upon a mystical Sith process known as "essence transfer." According to Wookieepedia, essence transfer is "a radical dark side Force power used to transfer a person's consciousness into another body, or in some cases an inanimate object." Although it hasn't been specifically mentioned, it seems possible that this ancient Sith art provided the means for Lord Momin to transfer his essence to his mask in the Darth Vader comics series, and for him to possess the bodies of others. 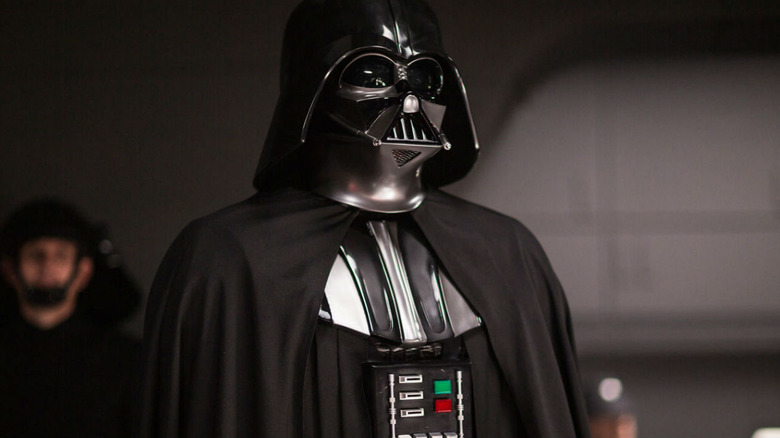 This could provide a standalone tool for the Episode IX creators to restore Darth Vader, or it could act as the alchemy behind another method, such as Vader's essence attached to his burned mask or Vader possessing the body of another. Kylo Ren is a pretty intimidating villain on his own; try to imagine him possessed by the spirit of his Sith Lord grandfather. 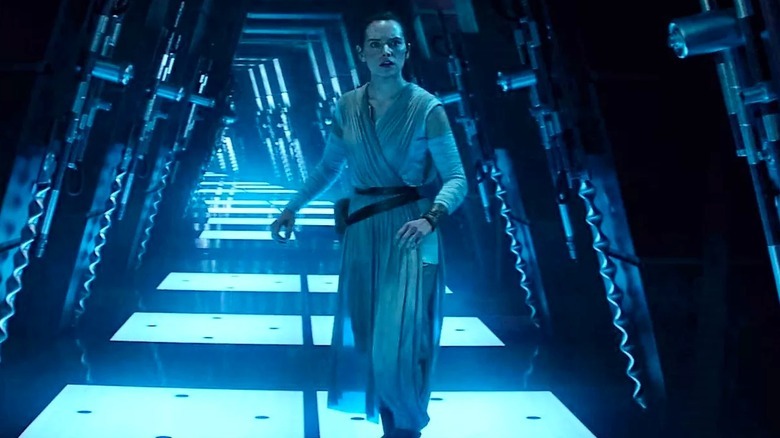 In The Force Awakens, Rey experienced what would later be termed a "Forceback," where her contact with Luke's lightsaber gave her a glimpse of both the past and future of the Star Wars saga. Full of references to Star Wars past and present, from the lightsaber battle on Bespin to the voice of Obi-Wan crying out "Rey," it's provided fertile ground for Star Wars speculators. Writer and director Rian Johnson took that one step further in The Last Jedi. A flashback or Forceback in Episode IX offers another easy way for Abrams to introduce Darth Vader back into the saga. 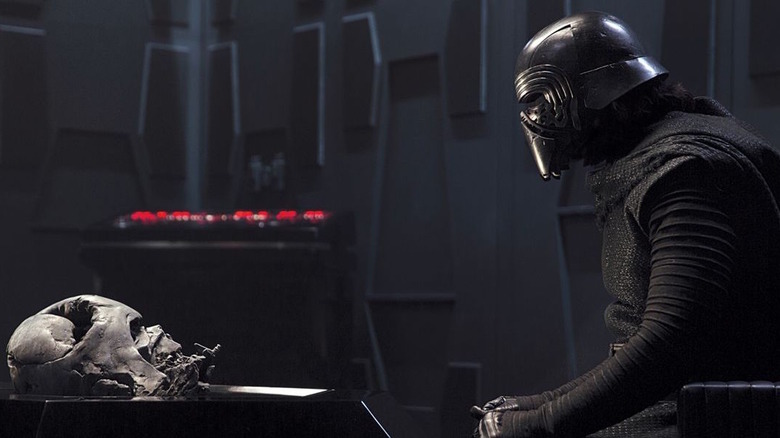 Kylo could gain a glimpse at a pivotal moment in Vader's life through contact with his helmet, or another character might think back to their own encounter with Vader from the past. Maybe a Force ghost of Luke, or the returning Lando Calrissian? Another bit of old expanded universe lore that has been reintroduced into the new Star Wars canon is the holocron, a small cube device that can hold training and insights from either Jedi or Sith. When the holocron is activated, the recording is played back as a hologram, similar to Princess Leia projecting from R2-D2 in the original Star Wars. The holocron was introduced in 1991 in the Dark Empire comics series and returned to modern continuity in the Star Wars comics and the Clone Wars television series. It's a handy plot device, whether as a "MacGuffin" to prompt a Jedi or Sith race across the galaxy, or an easy way to cram in some exposition through the broadcast of a long-gone character. 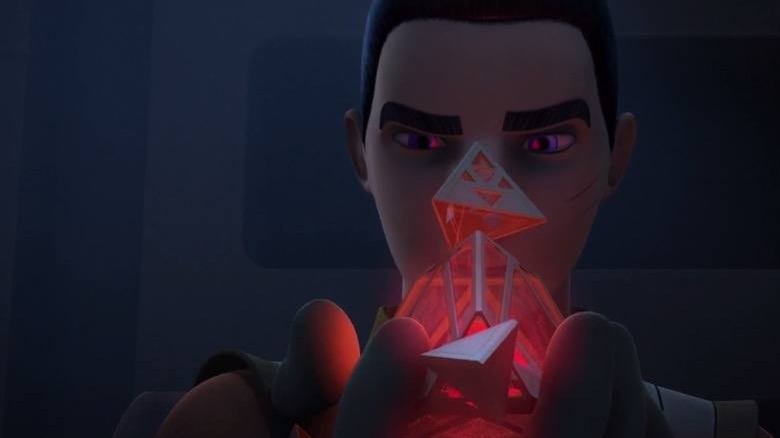 More interestingly, if Vader recorded his own holocron of Sith insights, it's possible Kylo Ren might have discovered it and would replay it in Episode IX. Just because they can... should they? It's clear that if they want to, they can bring back Darth Vader. But should they? It's a tough question. On one hand, this new Star Wars trilogy has managed to cleverly fold in elements of the past films in surprising and resonant ways. If they do bring back Darth Vader, it's sure to feel significant and creatively fulfilling. And if you view the total nine-film story of the mainline Star Wars films as the saga of the Skywalker family, then it would make sense for the patriarch to return one last time and influence the events surrounding his grandson's rise to power. On the other hand, Vader has become iconic because when he does appear, it truly matters. Which brings us back to that sequence in Rogue One — sure, it was an excuse for an extended sequence of Sith badassery using all of the special effects and filmmaking skills available. But it was also Vader impacting a moment of key importance to the entire Star Wars galaxy. If he had succeeded, the Death Star plans would have remained in the Empire's possession, and the burgeoning Rebellion might have been snuffed out. He failed to reclaim them, which also had immense consequences. Ultimately, that's the real question fans should be asking about Darth Vader returning in Episode IX. Not whether he can return, or whether he should return, but what kind of monumental event in that galaxy far, far away could warrant the reappearance of its greatest villain.